Dr. Scott Lively is a full-time missionary pastor who preaches the word of God in the inner-city of Springfield, Massachusetts. 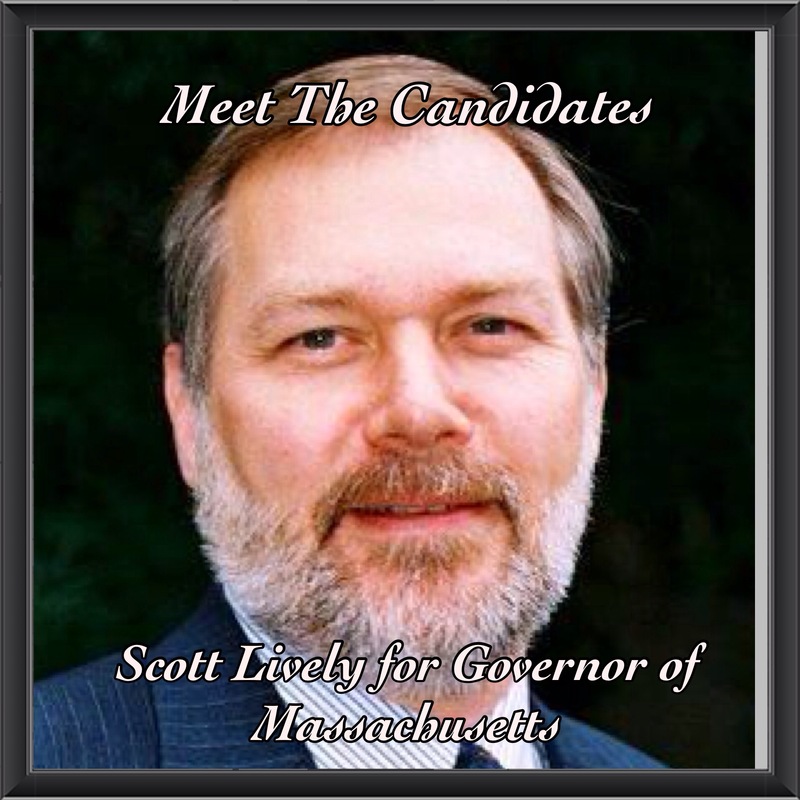 Scott is running for one reason: to bring Biblical values back into the politics of Massachusetts: Anti-Abortion, Natural Family, and Basic Conservative Values. Values, which he said still defined the grassroots of the Republican Party. Dr. Scott Lively is a man of many trades: he is a building contractor, Christian social activist, and a constitutional lawyer–all the while earned his doctorate in Theology. He is a fifth generation Massachusetts citizen and his family has been here since the 1620s. Scott tells me that he is grieved by the decline of Commonwealth’s neo-christian values–values he said has been handed down for five generations. He is tired of seeing the rise of the Marxist philosophy, pervading his beloved Commonwealth state and his country, and wants to put a stop to it. Two tasks that he will accomplish as the next governor of Massachusetts is Micro-financing in inner-city neighborhoods and a citizen oversight panel to scrutinize corruption in government. As a full-time missionary he has traveled to over 40 countries, sharing the gospel of Jesus Christ to countries (in Africa) that have little resources. It was during his missionary work that he saw the power of Micro-financing, which donors gave small loans to inspired farmers and push-cart merchants and taught them basic business and entrepreneurial skills. The results, he said, were tremendous and the people in Africa were able to pull their own bootstraps, pull themselves up out of poverty, and be successful. Dr. Lively says, he sees too many inner-city families (going back to three generations) that are dependent on the government. He quotes a Jewish proverb: “If you give a man fish, he eats for a day. But if you teach a man how to fish, he eats for a lifetime.” This is what inspires him to break “government-dependency” in inner-city neighborhoods. Then lastly he wants to institute a citizen oversight panel chosen by lottery, to oversee the corruption in government and have a panel of lawyers to prosecute corrupted public officials. He sees too much greed in politics and wants to put a stop to it. Dr. Lively understands that he speaks differently from the rest of the candidates, but one thing he wants to tell you is that he is honest and a straight-talker, even if you don’t agree with his views. He does not engage in mudslinging, he is not here to pander votes, and he is not a cardboard cut-out. He is an independent who wishes to restore Christian values back into the Commonwealth.